A beautiful skin is not only white, smooth skin is supported by the lotion. Beautiful skin must be healthy, firm from the inside. To do that is not as hard as you think. 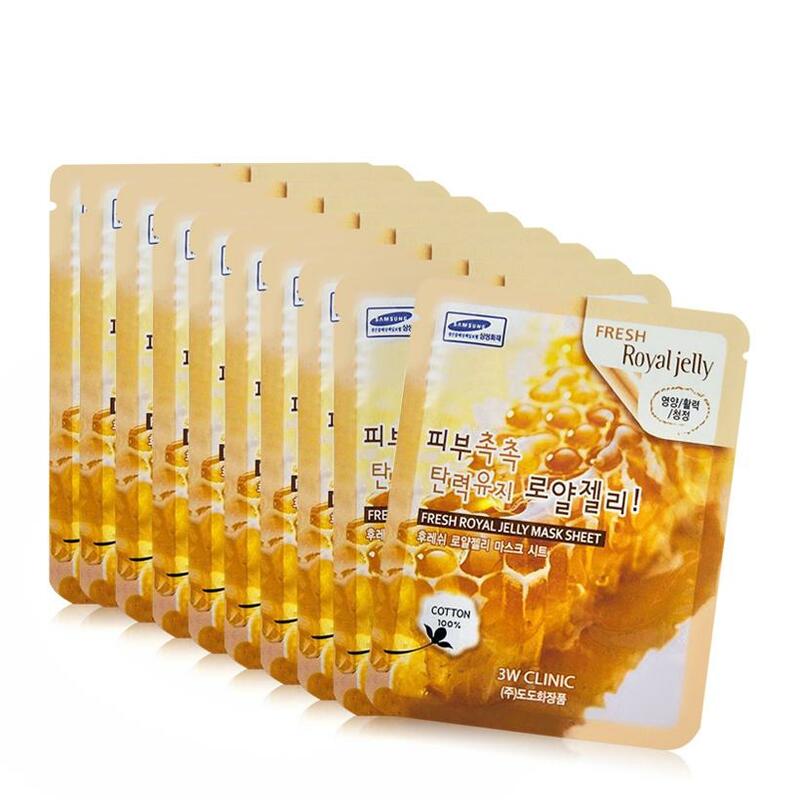 No need to spend a lot of time, money or effort, you can comfortably beautify home, not worry about the price with 3W Royal Jelly Royal Jelly Mask Sheet 23ml gives you natural, bright white skin. 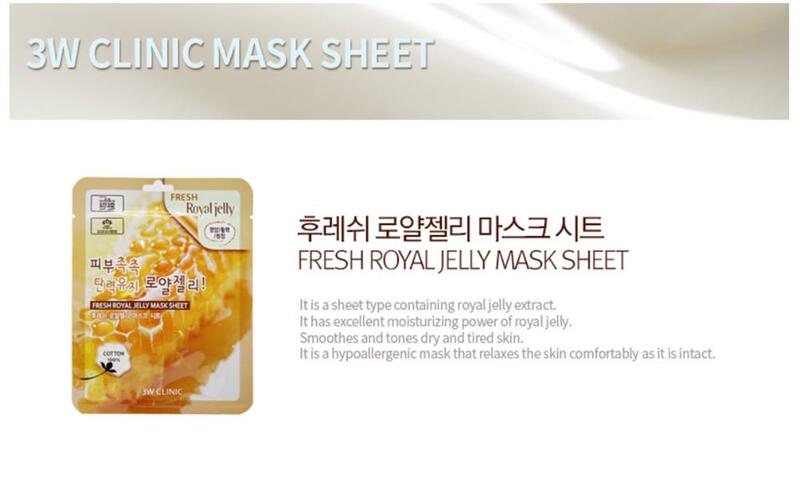 - Mask extracted from natural fruit and vegetable ingredients should be suitable for all skin types, including sensitive skin. - The mask fits snugly against the face. 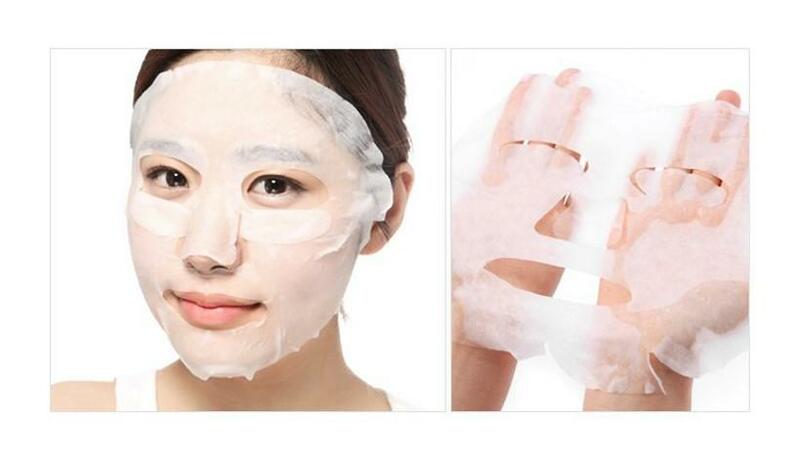 Only when the mask has dried completely, nutrients have penetrated all over your face, the new mask is peeled off. 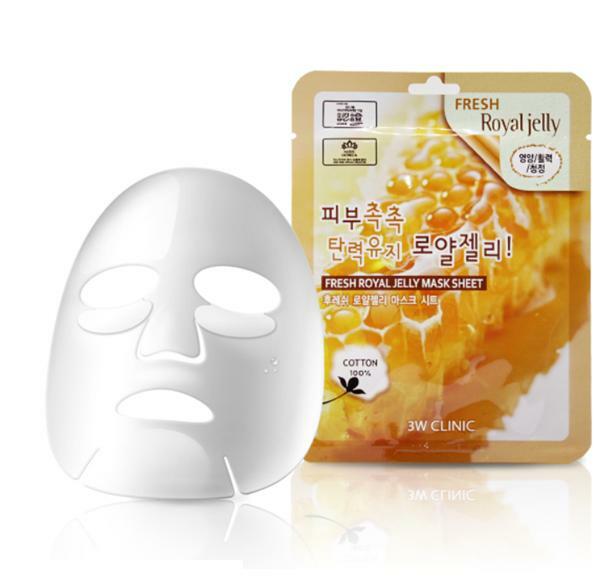 - When you apply a mask on your skin, you will feel cool and feel the facial expressions. When you remove the mask, you will feel the smooth and white of the skin. 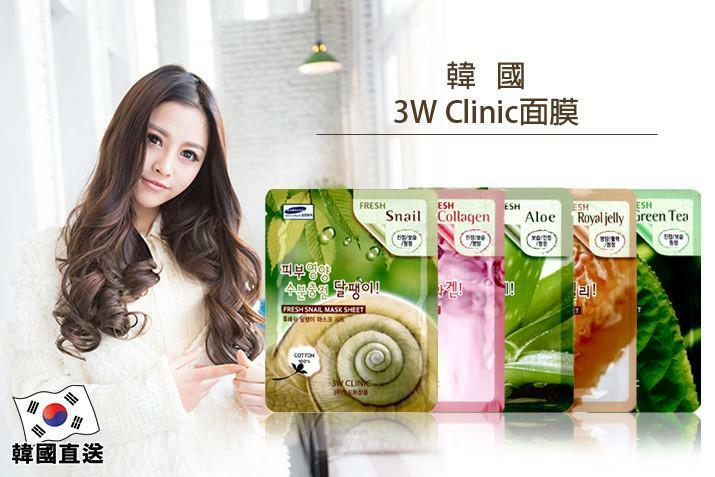 - The advantage of Collagen 3W Clinic is that it contains natural ingredients that are absolutely safe for skin care and are easily adapted to all skin types and needs of users. - Beautify the skin with dark color, skin is pale, freckles have freckles appear age due to age or deep burns. - Step 1 : Wash your face with clean water and cleanser. 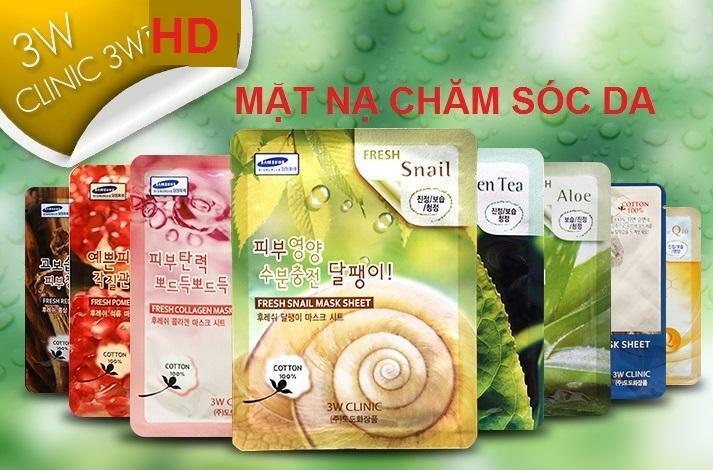 Steam can be removed to remove dirt and sebum in the pores. - Step 2 : Apply a mask to the skin in a circle, relax for 30 minutes to the collagen nutrients permeate into the skin. - Step 3 : Peel off mask then clean face with water. Use your hands to pat the cheeks to feel your skin is relaxed and white after use. - The mask can be applied from 1 to 3 times a week. - Use a moisturizer 2 to 3 times a week to give you the best results. - Effective at the first use, suitable for all skin types. - Store in cool, if possible, store in refrigerator cooler.